Zainab Hasan, a new name with a new talent and skills. She stepped in Pakistan fashion industry few years ago, and in this short period has launched its Chantilly de lace eid collection 2016. Zainab Hasan started out her profession in the fashion industry just before few years and in no time she became a spotlight of Pakistan’s fashion community due to her artistic creations in women clothing. 2015-2016 is the golden period of Zainab Hasan’s success stories; her brand has surpassed huge achievement due to incredible and remarkable fashion impression. She launches her seasonal as well as occasional collections every year like summer, spring, fall/ winter, party wear, casual/ festival, etc. In this season of summer, she has introduced many different arrivals consisting of embroidered lawn pret, formal royal, luxury ready to wear dresses, kurtis, etc. Just a few days ago she launched her new assortment named as Zainab Hasan Chantilly De Lace Formal Eid Collection consisting of Asian conventional outfits for festival & occasions like Eid wear. Zainab Hasan is a powerful dress designer due to her transformation of classic eastern style dresses. Wearing Zainab Hasan outfit will make you feel comfy as well as elegant. In this Zainab Hasan Chantilly de lace Eid formal dresses collection 2016-2017, she has brought girlie fretting patterns with chic adornments with the combination of fancy laces, pearls and motifs so entitled as “Chantilly de lace”. The textiles used mainly is a brocade, jacquard, pure chiffon, Egyptian cotton, raw silk, net and digital silk decorated with accessories & different embroidery works like zari, dabka, sequin, etc. Each design in this assortment has its charm and originality. The series includes medium length shirts paired with embroidered cigarette or pencil pants having cuts at the bottom with pearl buttons. The jacket style gown dresses are paired up with capris and straight trouser pants. The coloration pattern used is very appealing and includes festive shades coupled with simple ones. Color like sea green, beige, black, red, white, purple, pink, magenta, white, blue, violet, navy blue, etc. are used. Every single shirt shows her work of art and full elegance. To add extra glamour she has picked floral patterns with embroideries and Chantilly de lace in her selection that appears to be like simply chic and a smart concept. Moreover, these fully adorned summer Eid outfits can be best for your next coming events and your formal wardrobes. This collection has been launched and will be available at all leading outlets of this brand. The price range is quite attractive and manageable for the middle class also. 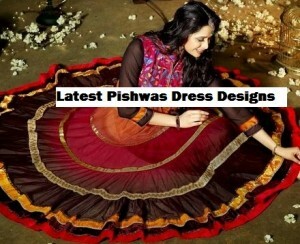 The dresses including frocks, gown shirts, jacket gowns, pishwas, Anarkali style suits, medium length kurtis/ shirts; all are unique designs and perfect Eid wear for Asian women including Indian, Pakistani, Bengali. 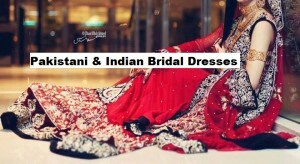 So make your Eid Festivals more wonderful by making yourself beautiful in these outfits. Here below is the picture gallery of this assortment, I hope you will love the styles & designs.